On February of 2019, the Gumstix experiment payload components were returned to Yosemite Space for post-flight analysis. The contents were removed from the enclosure after being powered up to confirm that the payload was still functional. All four of the Gumstix started and began to run their on-orbit test suite. The test suite includes a matrix multiplication exercise, NEON floating point instruction test, as well a large file I/O and checksum process. Combined, those tests were designed to work the CPU, RAM, onboard flash storage (if available), ALU, Micro SD cards, and the I/O subsystem. After 20 minutes of operation, the Gumstix were powered off and completely separated from their experimental hardware. They were connected to Tobi boards and more intensive diagnostics were to be performed. Unfortunately, Loctite, used to secure the mounting screws for their ride to and from orbit, was stronger than the adhesive used to attach the nuts to their custom made carrier board. Complete removal of the screws and nuts ended up being more involved than planned. In that process, two of the four Gumstix suffered minor damage to components that are part of their power supply circuitry. Despite several attempts at repairing the damage (very small surface mount components), those two remained inoperative. We performed roughly 24 hours of testing on the two still working Gumstix and found no anomalies in their test results. Analysis of the Micro SD cards that were in the two damaged Gumstix confirmed that they had executed their test suite 3 times without errors as well. 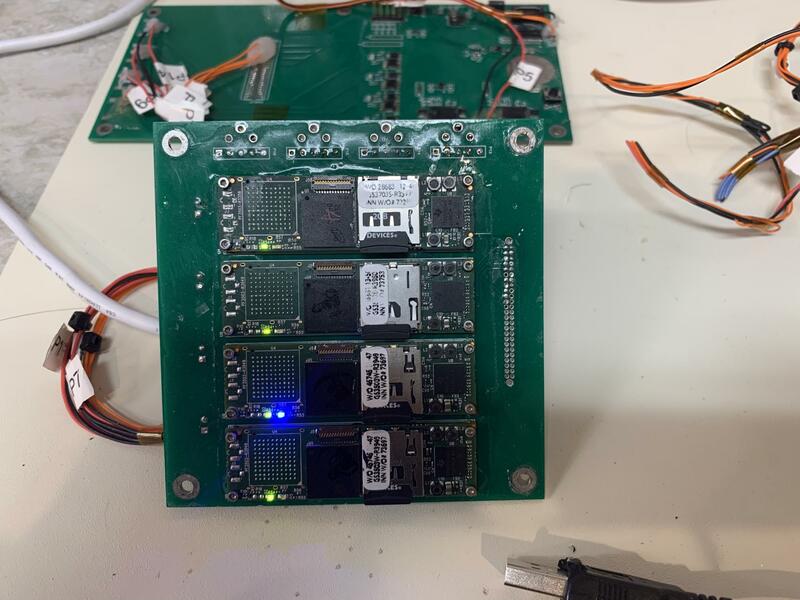 Our collaborator, John Sampson of Honeywell Aerospace had a successful follow-on NREP mission with their Dependable Multiprocessor (DM7) that used the Water model of the Gumstix module as their multiprocessor for the mission. In DM7 experiments, developed by Dr. Samson and Morehead State University (MSU), no single event upsets or computation errors were detected. The DM7 compressed 100X and 1000X stunning and unique images from the ISS. More information on their mission is provided in the attached paper (2018 IEEE DM CubeSat Paper 2_5_18). A video of collected images is shown here. 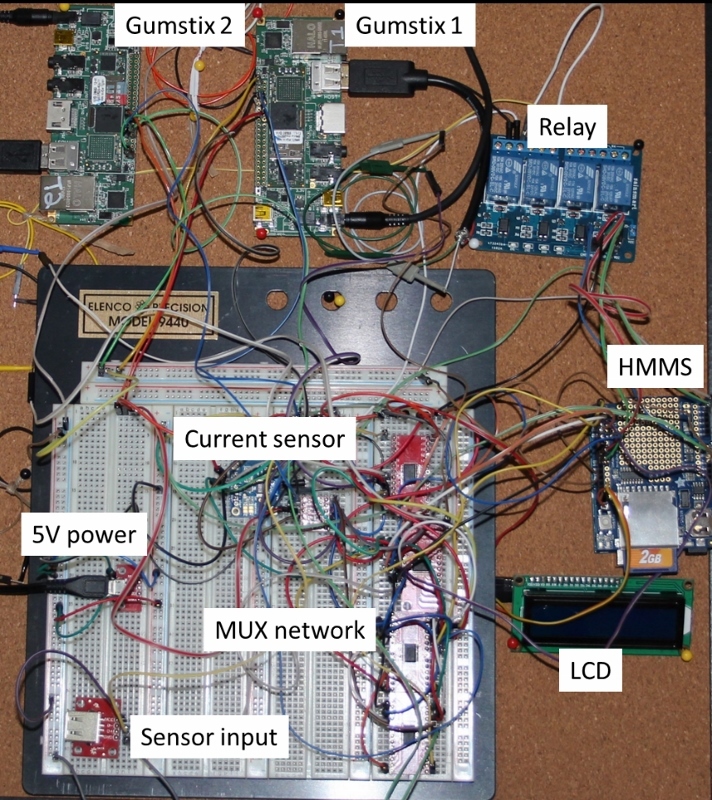 In conclusion, the Gumstix Water module has been shown to work reliably in the low earth orbit environment to perform computationally demanding tasks. However, it is recommended that measures be taken to screen the technology in ground based radiation testing prior to space flight. In addition, this technology along with all SoC technology are susceptible to single event effects such as upsets and latch-ups so mitigation strategies should be built into to the hardware and software to mitigate these effects. We hope that these experiments and our future posts will inspire others to explore the usefulness of powerful terrestrial base technologies in space and further the state of the art. Yesterday, Jeremy Zawodny and Kathleen Morse were interviewed by STEM Voices by Charles Lee Mudd Jr. We provided updates on the Gumstix project, RACP (Resilient Affordable Cubesat Processor) and our participation with the NASA Cube Quest through Team Miles. We also provided some background on what motivated us to start Yosemite Space and our thoughts on the future of space development. See link to podcast below. Today NASA announced the winners of the 2016 NASA Phase 1 awards. Yosemite Space was awarded a Phase 1 proposal to develop the Resilient Affordable Cubesat Processor (RACP). RACP will be a power-efficient high-performance space computer designed for low-Earth orbit (LEO) and deep space missions. RACP’s hybrid design combines the state of the art ARM System on Chip (SoC) processors with a non-radiation-hard-by-design FPGA and a radiation tolerant microcontroller to deliver fault tolerance, data integrity, and scalable performance. RACP’s physical dimensions and low power consumption make it ideal for vehicles as small as CubeSats. RACP includes custom health monitoring software that continuously watches vulnerable components for potential latch-up or degradation due to radiation exposure and takes corrective action as needed. RACP will consume between 0.83 to 8.7 Watts of peak power depending on clock speed and workload. At the high end, its compute performance will exceed 25,000 Dhrystone Millions of Instructions Per Second (MIPS), 2,100 Whetstone Millions of Floating Point Operations Per Second (MFLOPS) and 9,200 Whetstone Millions of Fixed Point Operations Per Second (MOPS). This past week, Dr. Kathleen Morse spoke at the 13th Annual CubeSat Developers Workshop at Cal Poly. She presented the Miles mission and discussed how the Resilient Affordable Cubesat Processor (RACP) is enabling mission autonomy through its high performance and resiliency. Yosemite Space worked as part of Team Miles to win the NASA Cube Quest Competition, Ground Tournament 1. Yosemite Space contributed radiation shielding designs and mitigation strategies, structure designs and onboard computing. Team Miles will fly Yosemite Space’s Resilient Affordable Cubesat Processor (RACP) as part of the NASA contest. 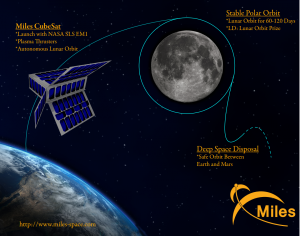 The NASA Cube Quest Challenge is a competition to build flight-qualified, small satellites capable of advanced communication and propulsion near and beyond the moon. 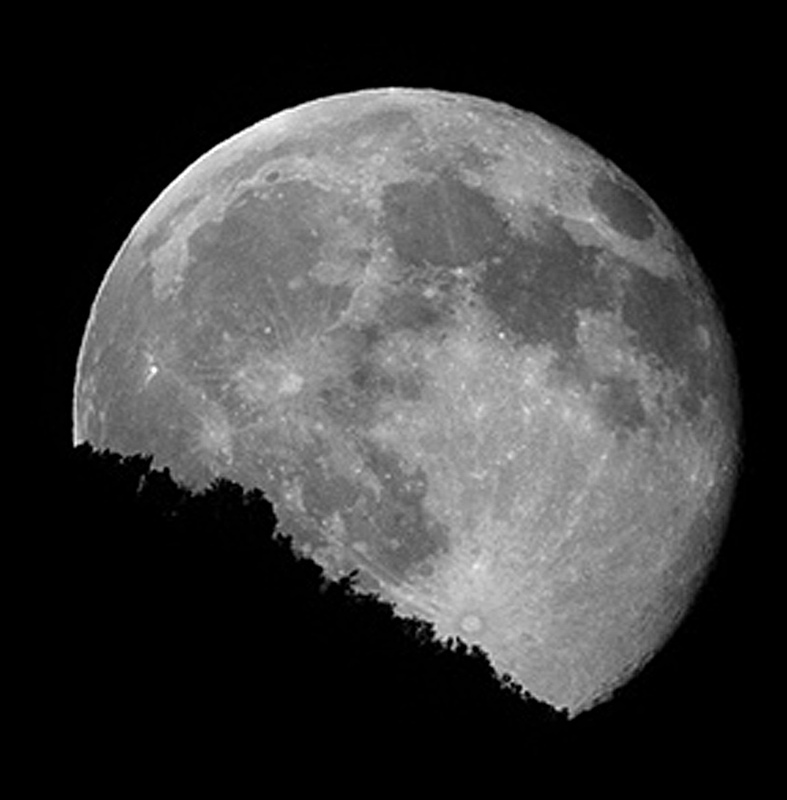 Teams that achieve top performance at high-speed data communications, navigation and survival after achieving lunar orbit or a minimum long-distance range from Earth compete for an unprecedented $5.5 million prize purse in NASA’s first ever in-space challenge. Cube Quest is part of NASA’s Centennial Challenges Program, which accelerates technology by engaging non-traditional sources in competition. Yosemite Space’s RACP is a power-efficient high-performance space computer design for low-Earth orbit (LEO) and deep space missions. RACP’s hybrid design delivers fault tolerance, data integrity, and scalable performance. RACP’s physical dimensions and low power consumption make it ideal for vehicles as small as CubeSats. RACP can support processing data from multiple sensors and any needed autonomous processing and control. Processors will run a Linux operating system, which means that mission software can be built and tested with standard open source software tools. Finally, components of RACP will be screened through radiation testing to ensure that the computer will operate reliably. The winning teams will be formally recognized Wednesday, Sept. 9, during a media telecom, and there will be an opportunity for media to interact with teams and challenge personnel. For a full list of all of the winners in NASA Cube Quest Challenge Ground Tournament Round 1, visit: http://www.nasa.gov/directorates/spacetech/centennial_challenges/cubequest/nasa-awards-first-round-prizes-in-cube-quest-challenge.html . 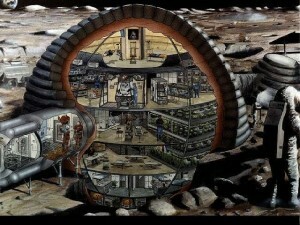 Yosemite Space joins the Artemis team to compete in NASA’s 3D Habitat Challenge. 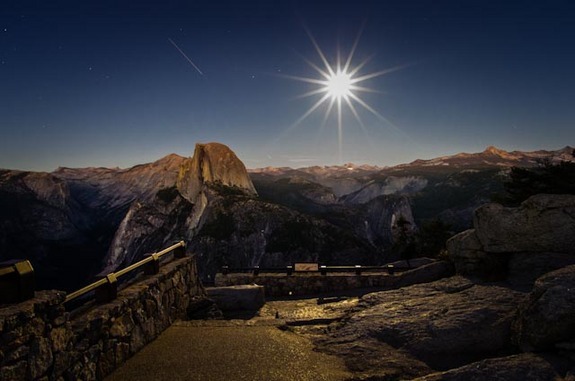 Yosemite Space analyzed the radiation environment inside and outside the habitat. Yosemite Space also contributed to radiation shielding design and mechanical analysis. In late May of this year, Yosemite Space presented analyzed radiation data from ground radiation testing of three models of Gumstix: Earth, SandStorm and Water at the Single Event Effects Symposium. Expected rates for single event effects in low earth orbit were presented. Yosemite Space also showed that almost all Gumstix showed stuck bits in RAM when exposed to 64MeV protons. Further testing indicated that this was likely due to microdosing. Experience and knowledge from these tests are influencing the design of the Resilient Affordable Cubesat Processor. Data from ground testing will be compared to space data once the Yosemite Space Gumstix payload is launched to the ISS and placed in the NanoRacks External Platform. This s expected to occur in 2016. Earlier this year, Yosemite Space joined Team Miles to compete for the Cube Quest. Yosemite Space is contributing to radiation shielding and mitigation, structure and command and data handling. Team Miles will fly Yosemite Space’s Resilient Affordable Cubesat Processor (RACP) if Team Miles is selected in GT4 for a space flight. RACP is currently at TRL 4.